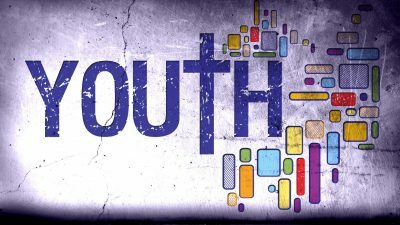 The various youth organizations of the church should work closely with the youth ministries department of the conference. “We have an army of youth today who can do much if they are properly directed and encouraged. . . . We want them to be blessed of God. We want them to act a part in well-organized plans for helping other youth.” – GCB, Jan. 29, 30, 1893, p. 24. “When the youth give their hearts to God, our responsibility for them does not cease. They must be interested in the Lord’s work, and led to see that He expects them to do something to advance His cause. It is not enough to show how much needs to be done, and to urge the youth to act a part. They must be taught how to labor for the Master. They must be trained, disciplined, drilled, in the best methods of winning souls to Christ. Teach them to try in a quiet, unpretending way to help their young companions. Let different branches of missionary effort be systematically laid out, in which they may take part, and let them be given instruction and help. Thus they will learn to work for God.” – GW 210. “With such an army of workers as our youth, rightly trained, might furnish, how soon the message of a crucified, risen, and soon-coming Savior might be carried to the whole world!” – MYP 196. While there is to be an active AYS in every church, it is important that the youth program not be isolated from the rest of the church. In addition to their AYS participation, youth should be integrated into responsible leadership and in all lines of church work. As young elders, deacons, and deaconesses, for example, they can work with and learn from experienced officers. “In order that the work may go forward in all its branches, God calls for youthful vigor, zeal, and courage. He has chosen the youth to aid in the advancement of His cause. To plan with clear mind and execute with courageous hand demands fresh, uncrippled energies. Young men and women are invited to give God the strength of their youth, that through the exercise of their powers, through keen thought and vigorous action, they may bring glory to Him and salvation to their fellow men.” – GW 67.